Welcome to Day 71 of 100 Days of Disney here on The Purple Pumpkin Blog! Be sure to check out all of the other posts in this series, and if you would like to share your own Disney blog posts or pictures, make sure you check out the #100DaysOfDisney Link Party! 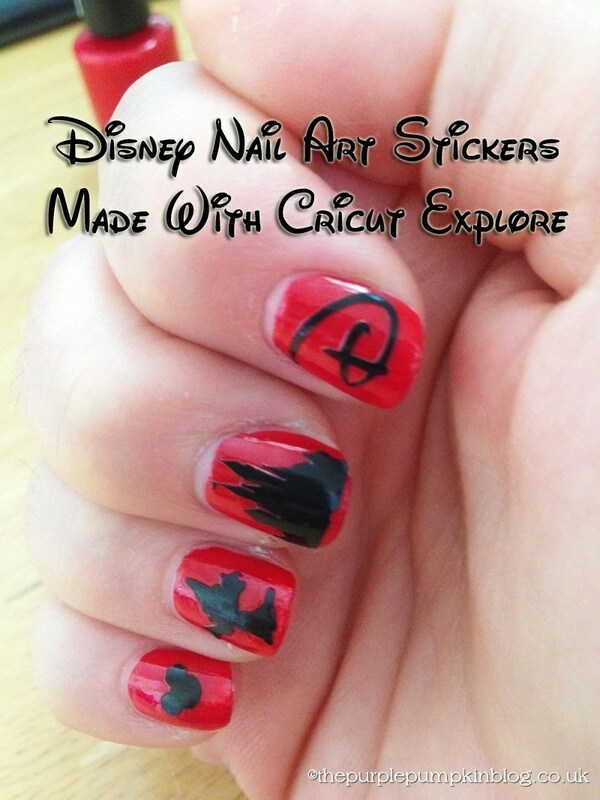 Today I decided to try to create some Disney nail art…as you’ll see in the video, when I tried to paint a few designs it was a bit of a fail, but then I made some little stickers with my Cricut Explore which I then stuck to my nails, and they’ve come out (I think!) pretty awesome!! And below are the .png files I used to make the stickers on my Cricut Explore. Just click on each one and then right click to save to your computer. They are various sizes, and all have a transparent background. When you upload them to Cricut Design Space you can then adjust the sizes. As I guide, I used widths of 0.4″, 0.2″ and 0.1″ but it’s best to experiment with your nail size and what will fit each nail the best! And here are some still images of my nails as you can’t see them so well in the video! Day 71 of #100DaysOfDisney is done – 29 to go!